I love burgers! Well, who doesn’t. I love cooking up innovative burgers to give them an edge overs others. Of course, they are healthy and nutritious so I am very particular as to what goes in them. I like using never heard combinations while making the patties. 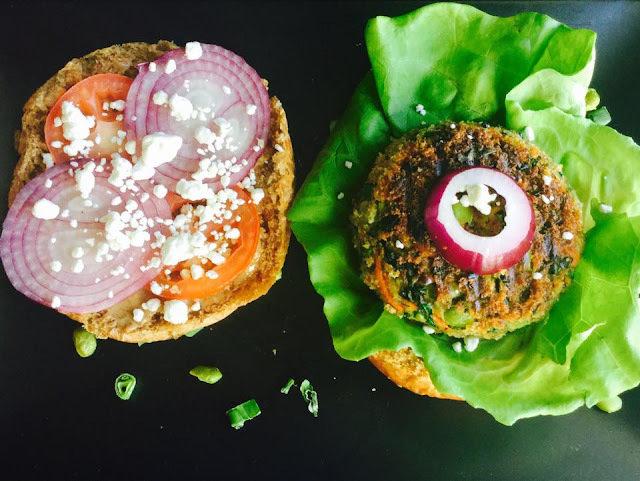 Like the time I made Eggplant and Chickpea Burger. I quizzed my friends over what was in it and they were pleasantly surprised to know that it had eggplant! As a vegetarian, I keep looking for more protein rich foods to include in our diet. Edamame fits the bill. It is a good source of protein, iron and calcium, naturally gluten free, contains no cholesterol and is low in calories. 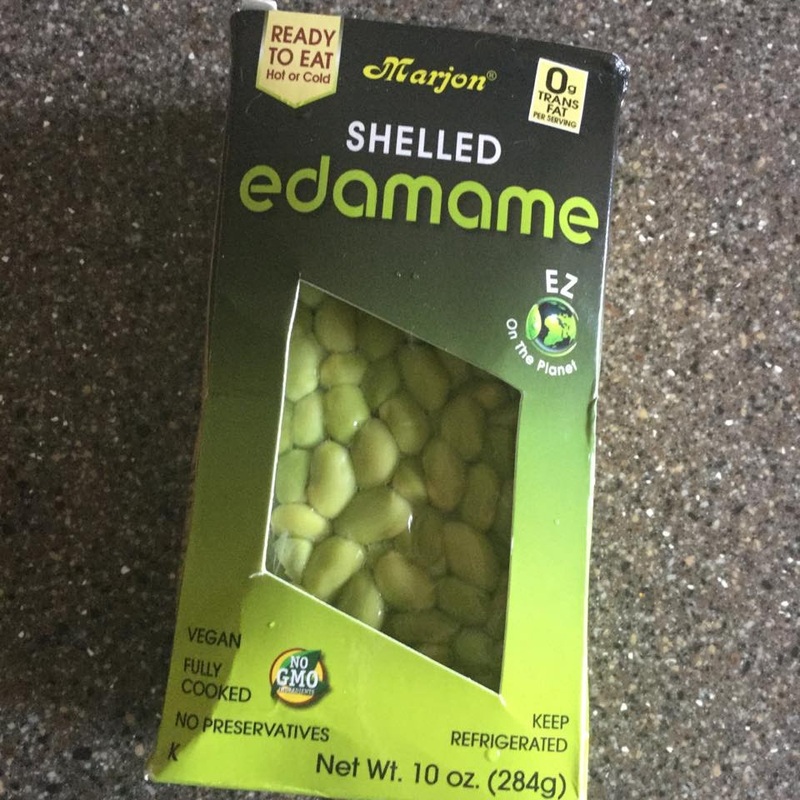 So yes, including edamame in your diet is a good thing to do. I pick up this from stores which is ready to eat. You can find recipes on my blog where I have used this. 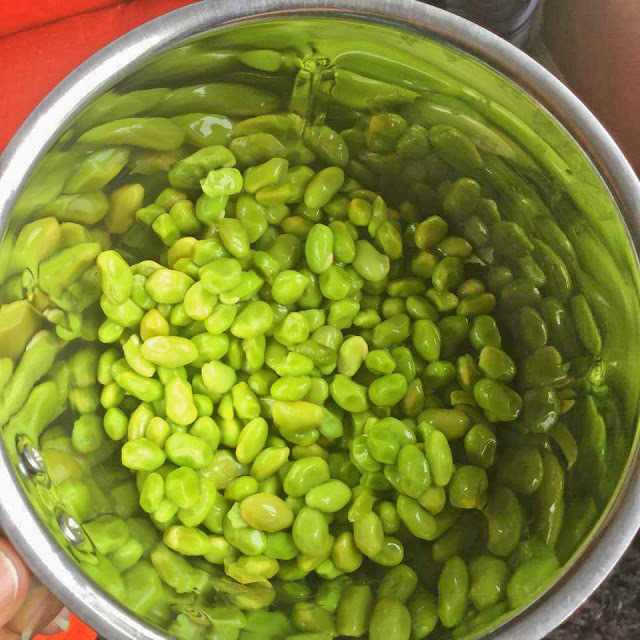 You can check them here – Edamame and Spinach soup, Edamame and Mushroom Pasta salad, Sesame flavored Beetroot and Edamame Parathas and Hara Bhara Pulav. I have used Roasted Almond Butter in this recipe. 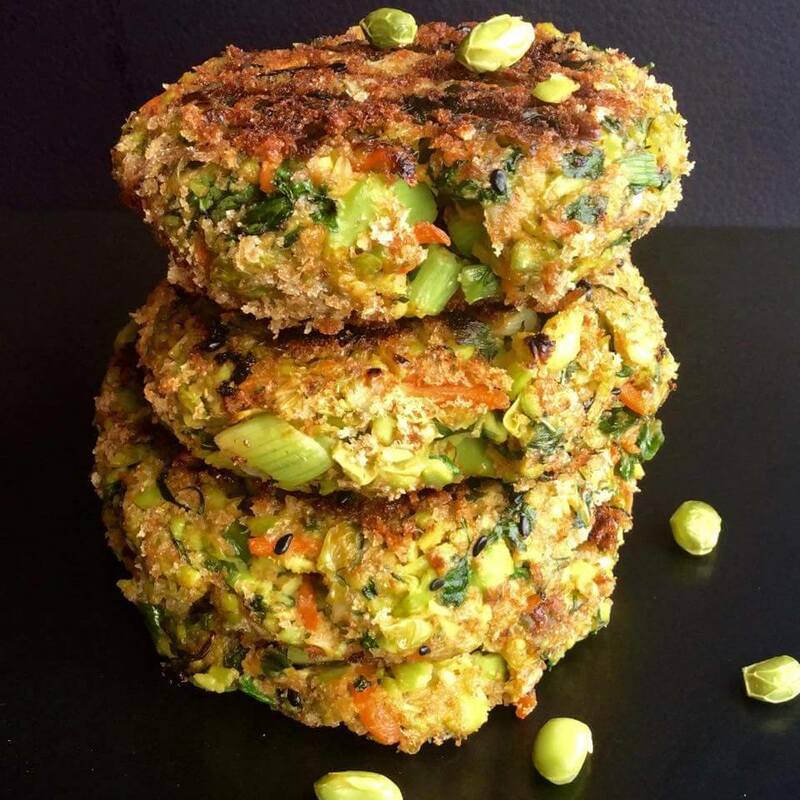 I think it adds a nutty flavor to this veggie burger. Feel free to use the regular butter if you wish. 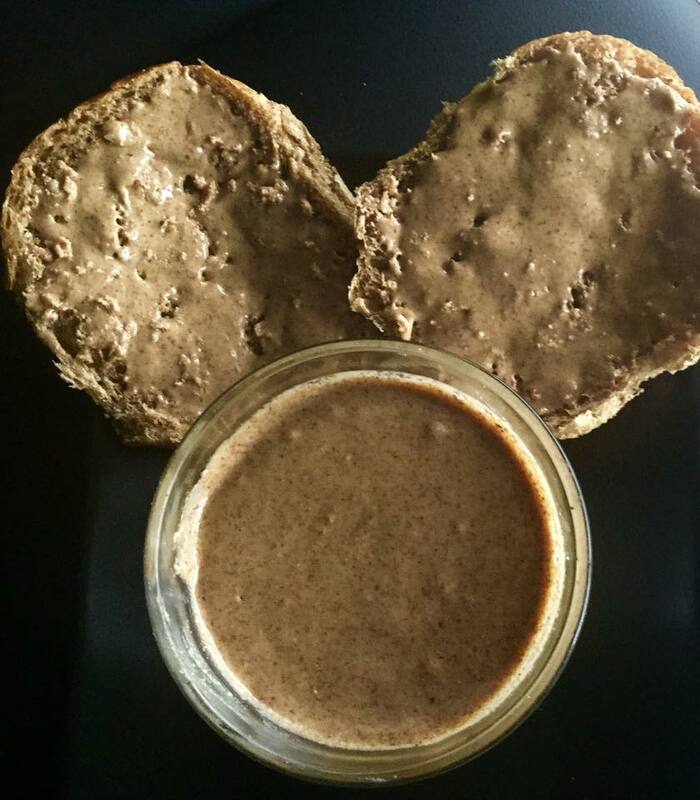 But I suggest, you give this Almond butter a try. I can assure you, you will love it! Subscribe to the weekly newsletters to keep yourself updates with all my latest recipes. You can follow me on social media as well. It’s really simple. 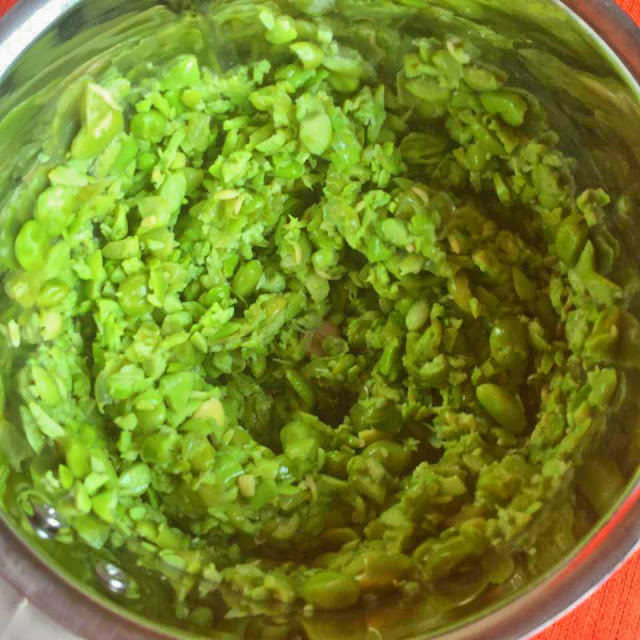 Coarsely grind the edamame in a food processor. 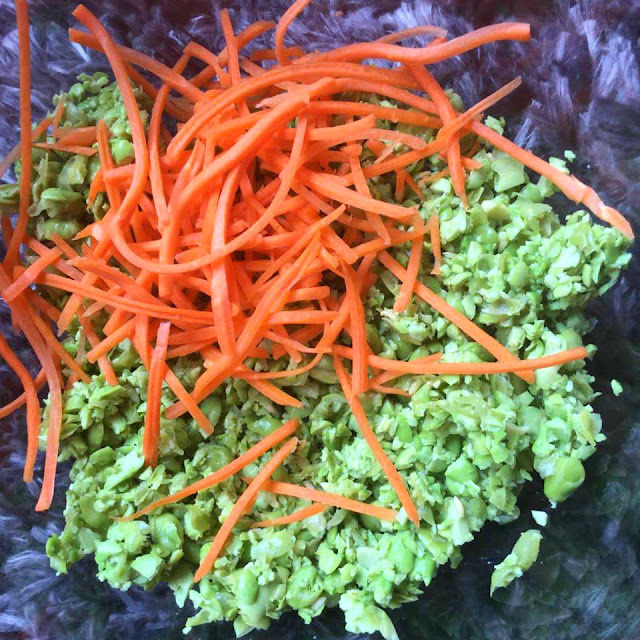 In a mixing bowl, add the edamame and carrots. 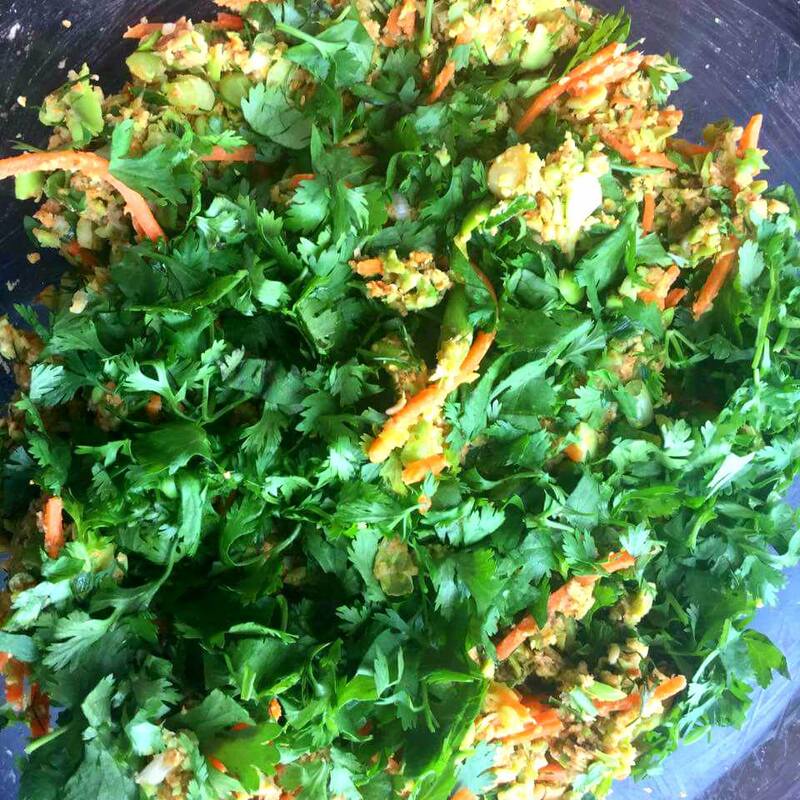 Now add the remaining ingredients like – ginger, garlic, spinach, half of the bread crumbs, dill leaves, cilantro, oats powder, salt, sriracha sauce and onion greens. Mix it all well. 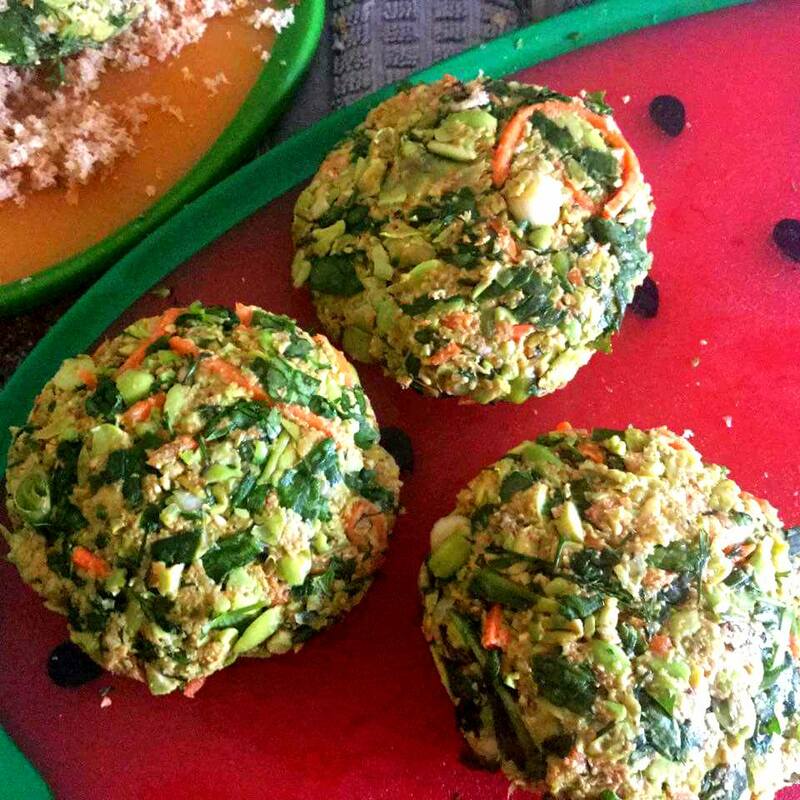 Make medium size patties. 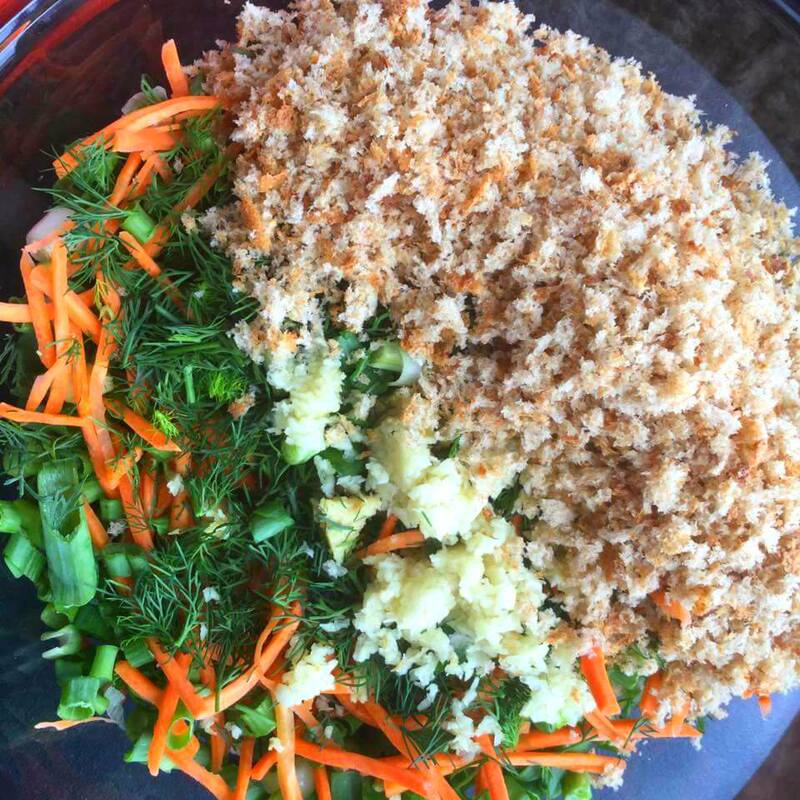 Roll each of them over the remaining half of the breadcrumbs. Refrigerate them for 30 minutes. This helps in binding. Sprinkle some cooking oil over a grill pan. 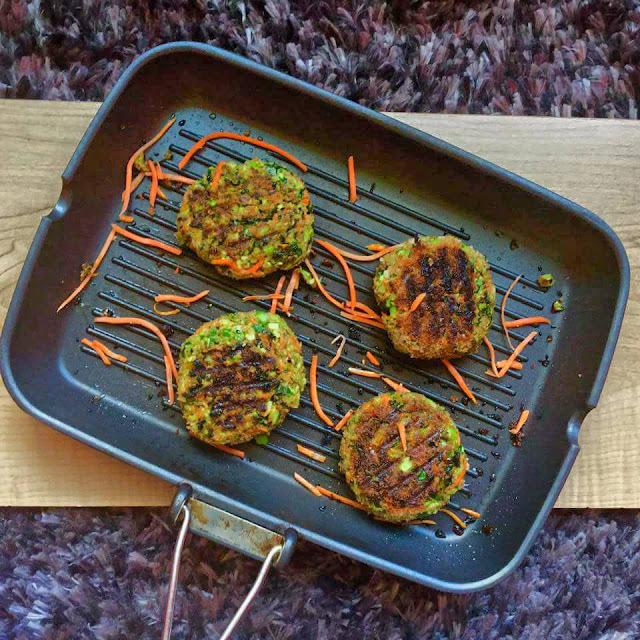 Cook these patties evenly on both the sides. 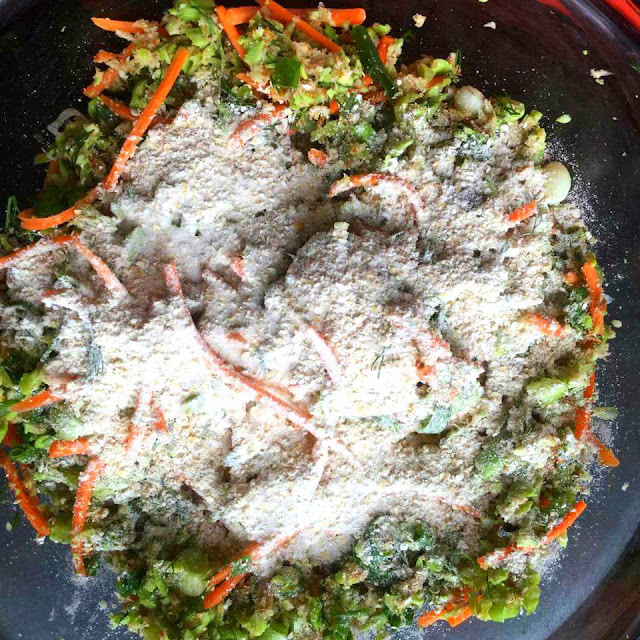 Sprinkle some sesame seeds as they cook just give it an additional flavor. Now comes the assembly part. Warm the burger buns for 15 seconds in the microwave. 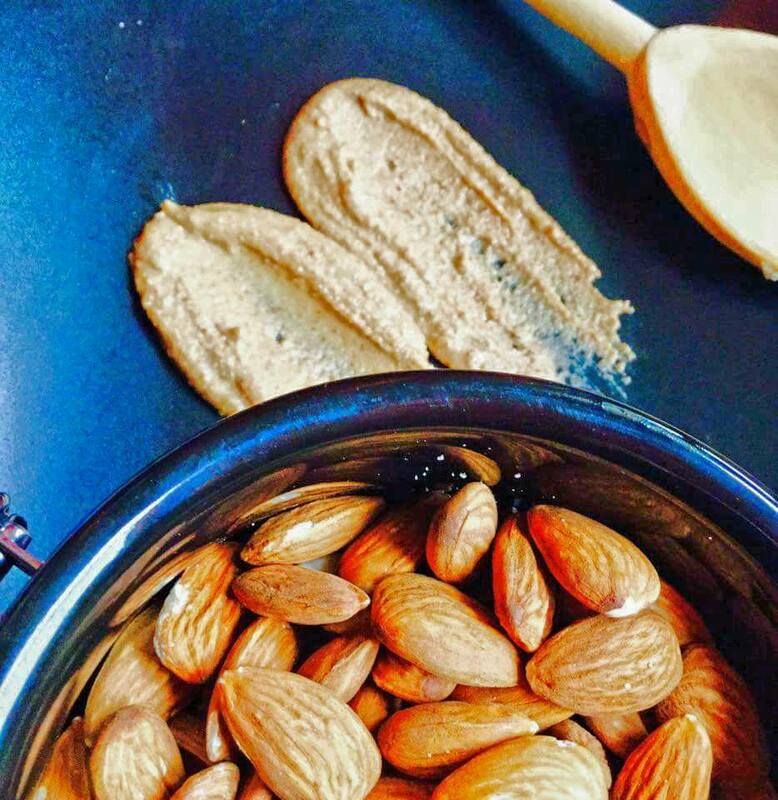 Smear some almond butter on both sides of the bun. 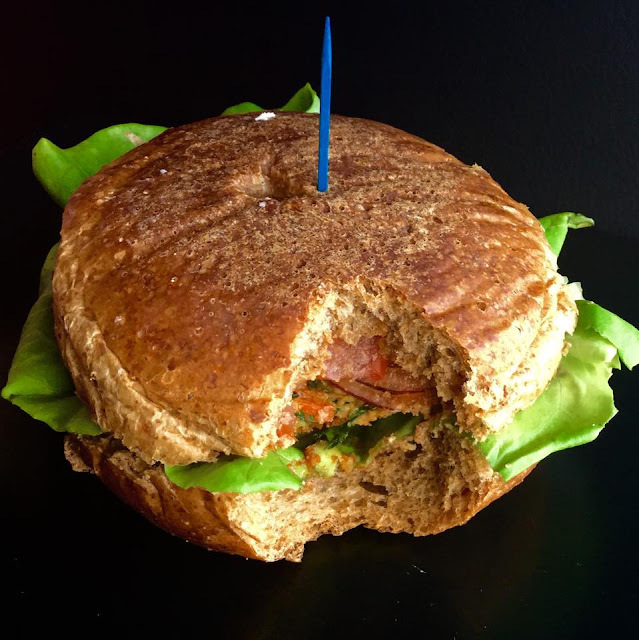 Place one lettuce leaf on one of the bread. Plaice a Patti over it. Add some tomato and onion slices on the other bun. Sprinkle some cheese. These can be even made in advance prior to a party or a game night. Woo your guests with these burgers while you gorge on them as well. If you like this recipe, pls leave a comment below. I never make burgers from scratch but I should try! Wow, I never knew you could make hamburger patties like that. They really do look delicious. I’ll have to give them a try. Thanks! These look great! I’m always looking for a new burger idea. Thanks so much for sharing. 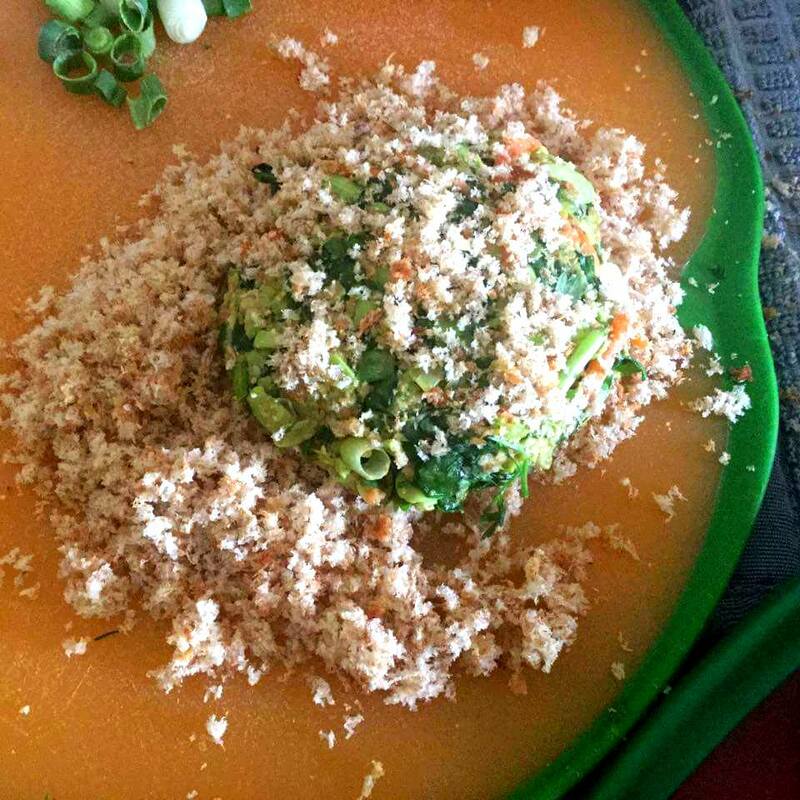 loved this recipe… I have a question.. The bread crumbs u used – is it fresh brown bread crushed or the dry one available in the stores? Also what brand Oat Powder and Sriracha Sauce are good for this one? ?